Dr. Jawahar Shah, is a pioneer when it comes to connecting health with technology. 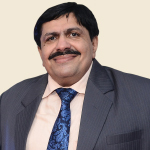 He is an academician, highly successful homoeopathic clinician, a passionate technocrat and an efficient organizer. He runs a busy Homoeopathic practice for over 36 years. He was a Member of the Central Council of Homoeopathy (CCH). He has also been a Member of the Education committee which decides the policies governing education and manages 181 institutions and 31 Post graduation colleges. He has been the Director of Research at the Dr. Subodh Mehta Medical Centre, Mumbai since 1980 and is also the Director of the Child Guidance Clinic. Academician: He has lectured at more than 500 Seminars in 22 countries and is a contributor to various National and International Scientific Journals in the form of articles and research papers. Homeopathic Physician: Dr. Shah has cured many patients purely with Classical Homoeopathic approach. He specializes in the treatment of Bronchial Asthma, Behavioral and Psychiatric problems of children and Management of Cancer patients to highlight a few of his specialties. Educationalist: Dr. Shah has been associated with setting up of Educational institutions in the country and abroad, most notably Hahnemann College of Homeopathy in London that offers a Post-Graduate course in Homeopathy. Technocrat: Dr. Shah, with his incredible foresight and vision, created and developed a path breaking, India's Best Homoeopathic software called Hompath having of user base of more than 33,000 doctors in over 89 countries. Dr. Shah has several awards, recognitions and accolades to his credit and is truly a global Indian. 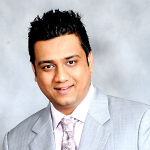 Coming from a business family, Punit has completed his Bachelor of Commerce from Mumbai University & has successfully pursued his Masters of Business Administration (MBA) from one of the most reputed business schools of the southern hemisphere – Swinburne University of Technology, Melbourne, Australia. His business experience & involvement has been very active and instrumental in research & study, market & industry network, micro & macro business execution, fund raising, government liasoning and complete management of enterprises at the start-up, growth phase and established levels. He has business experience, investments and capabilities in Solar Power, Home-shopping & E-commerce, Films, Media & Entertainment, Education and Information Technology sectors.